You're often told that you should read more. However, it's likely that you're not entirely sure why you should do it. 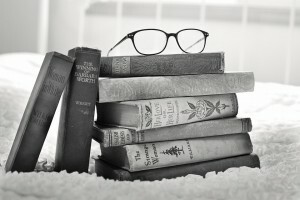 If you need some convincing, below you'll find just a few of the many benefits which can come from being an avid reader. Go through them so that you can become you're inspired to pick up a book! There is an infinite amount of reading material out there, which you can find in books, magazines, newspapers, the web, and other media. Not only that, but it's likely that there is reading material on every subject ever. That's why the more you read, the more knowledge you'll gain, since you'll be exposed to different stories, opinions, theories, and more. Being more knowledgeable can impact your daily life, as it can help you have better conversations and more complex thoughts. Another very important benefit that comes with being an avid reader is an extensive vocabulary. Reading often will help you come across and be confronted with unknown words. Then, you can search those new words in the dictionary and include them in your own repertoire little by little. Having a more robust vocabulary will allow you to have a clearer understanding of the world around you, and be more precise when communicating your thoughts. Something you may not know is that reading regularly actually helps you practice certain academic skills. Not only does it give you the opportunity to expand your knowledge and vocabulary, but through it, you can become a better speller, writer, and more. This is because when you read pieces by great authors, you're getting examples on how to employ grammar and formulate sentences expertly. That's why you should read more to conquer your academic skills. However, if you would like extra assistance to master your grammar, reading, and other academic skills, turn to The Tutoring Center, Southgate MI for guidance and support through their tutors and academic programs. Call (734) 785-8430 to learn how tutoring in Southgate MI can benefit you or to schedule a free diagnostic assessment. As mentioned above, when you read with some regularity, you'll be exposed to great writing, new words, ideas, and ways of expressing yourself. This can, in turn, help you become a better communicator. The skill set you will obtain through reading will pave the way for you to convey your emotions, thoughts, opinions, ideas, and anything else you may need to say, in a more intricate manner, whether it is verbally or through writing. Being an avid reader will also make you a better receptor of ideas. This is because it's likely that, upon reading, you'll find perspectives that you've never really thought of which will open your mind and help you become more accepting of other people's reasoning and points of view. Moreover, it's probable that if you're an avid reader, you'll learn to value those opinions which are different from yours. Reading also comes with the fantastic perk of keeping your mind fully awake and sharp. As opposed to watching TV, reading actively involves your imagination and your brain power (since you're learning, practicing your skills, and becoming more knowledgeable as you go). This is incredibly important since it's crucial that you challenge your brain often in order to help it become stronger and more capable, so keep on reading! Every idea is a product of another idea. That's why, whenever you're feeling stuck, you should read to become inspired. As mentioned a few times over, reading is a great learning technique, and the more you know, the more you'll be able to imagine and produce. Furthermore, since reading also allows you to formulate more complex thoughts, you'll be able to come up with more complete and educated ideas. Last and definitely not least, it's necessary that you read often if you'd like to improve your confidence. By now, you already know just a few of the many different ways in which reading can benefit you (gained knowledge, developed skills, better communication, among many others). However, you may not know that all of them and how they influence your life, can actually make you feel better about your abilities, which gives you a confidence boost that can also have an impact in other areas of your life. If you're a student with a goal to learn effectively and succeed academically, know that The Tutoring Center, Southgate MI can be there for you. Their academic programs and experienced tutors will help you reach your potential. Call (734) 785-8430 to learn more about the benefits of tutoring in Southgate MI or to schedule a free diagnostic assessment.